Here’s a new CHALLENGE COIN I designed and has just been minted. I’ve been searching for a motorcycle related challenge coin. The only ones I could find had a specific company logo (H-D) on them. Those are nice, but what if everyone doesn’t ride that brand of motorcycle? So I decided to create my own design. After several drafts and revisions, this is coin #1 with more to come. The photo above shows both sides of the coin. Made of brass with an antique brass finish. Measures 1.75″ (44mm) across. I’ve listed them on eBay if anyone is interested. This would make a nice unique gift for the motorcycle enthusiast on someone who collects motorcycle memorabilia. 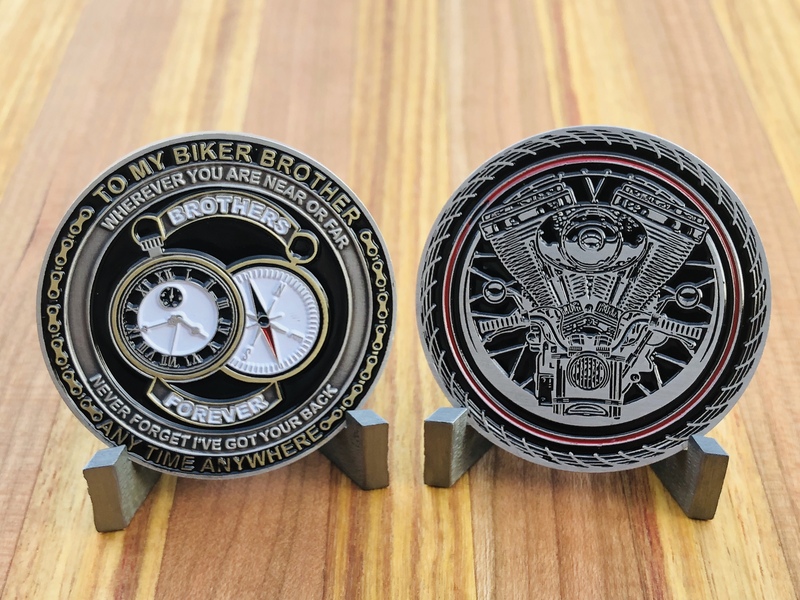 Start the “Challenge Coin” tradition with your biker friends.